So you have finally decided to take the plunge and invest in some state of the art classroom technology. 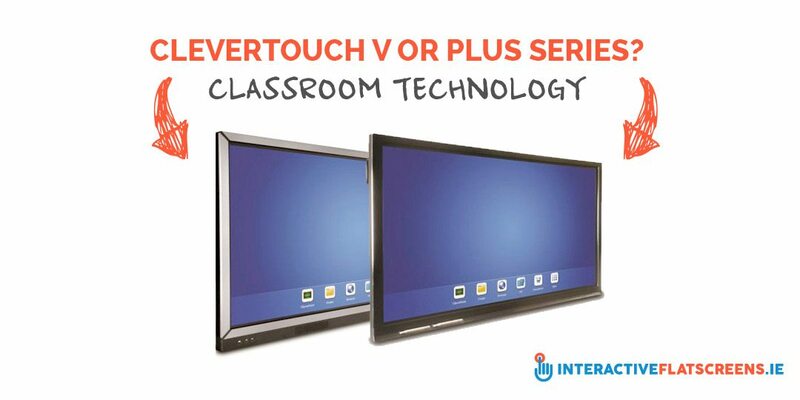 You have decided that CLEVERTOUCH is the product for you but can’t decide on a V series or a PLUS series. Available in 55″-84″, All Clevertouch screens utilise the latest touchscreen technology, featuring multi touch that allows multiple users to interact and use gesture control. Combined with Full HD, and 4K models, high brightness and anti-glare as standard, images are always clearly visible. Let us help clarify the differences between the 2 ranges. A Clevertouch screen does not require specific pens, this means no more hunting for the missing black, and no pricey replacements when it can’t be found. No calibration is required, so a Clevertouch on a trolley can be moved from classroom to ICT suite to school hall and back again with no additional set up needed. These days children are familiar and adept with touch screen technology. 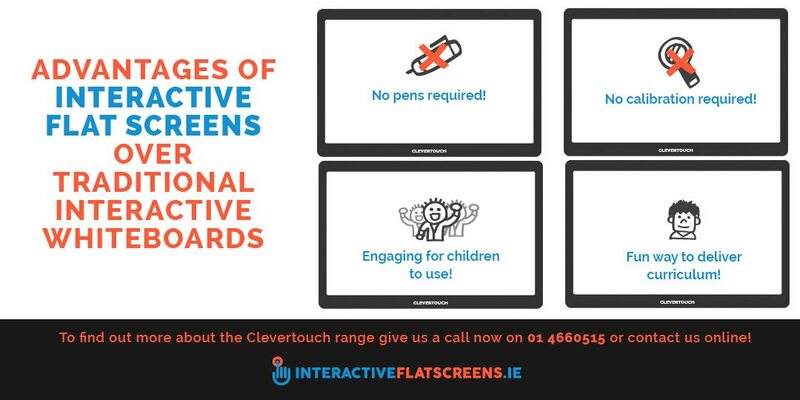 With wide use of tablets and smartphones at home, children find Clevertouch intuitive to use and an engaging way to learn. Using a Clevertouch is a fun, interesting and informative way to deliver the curriculum. Our Verdict – Clevertouch V or PLUS Series? Most likely your decision will boil down to budget, if you can, go for the PLUS, the extras are worth it. If multiple classrooms are involved the V Series offers a higher grade solution than you will find anywhere for the price. Either way you will not be disappointed. Call us anytime on 01 4660515 or email me directly at ivan@toomeyav.ie for advice, opinion or just to say hi. You can also contact us online here.